My name is George Chavez. For the last ­­­four years I have been living in various assisted living facilities in the Phoenix Metro area. 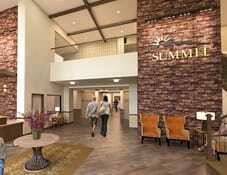 I have found a perfect fit at Avista Senior Living at North Mountain. The caretakers and staff are very professional and polite. Avista is more like a family…They provide rides to and from doctor appointments, great for all veterans. Our activities [are] field trips to Talking Stick Casino,…they have a bus that takes residents to Walmart, Fry’s, The Dollar Store, and Walgreens and the library. They have religious services and ice cream socials. Let me tell you about the food, it’s healthy and very tasty. I feel the management really cares. 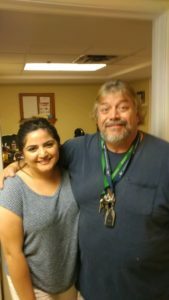 … I have made many new friends with other residents and staff alike. The campus is beautiful and clean. There is always something to do. I’m going to live here the rest of my life. I’m 54, Avista is very safe, Right by the fire department…[and there’s a safe] police presence. Avista is pet friendly. I made the best decision of my life I’m happy here and I will never have to move again. Covered parking with beautiful mountain views. Come over and take a look at Avista’s private rooms, 1 Bedroom and studio. Avista is more like a small community but more like a family. Right up the street is North Mountain park. North Mountain park has…. plenty of [animals]. I’m happy here you will be happy too. To learn more about Avista North Mountain or any of our beautiful communities, visit our Find a Community page.